We’ve been highlighting a lot of model viewer content in our news recently, and we wanted to cap things off with the announcement of a new Dressing Room feature – Randomize Appearance. Hitting the new “Randomize” button underneath the character appearance options will randomly select customization options for the race you’ve chosen, including skin tone, accessories, hair color, and hair style. 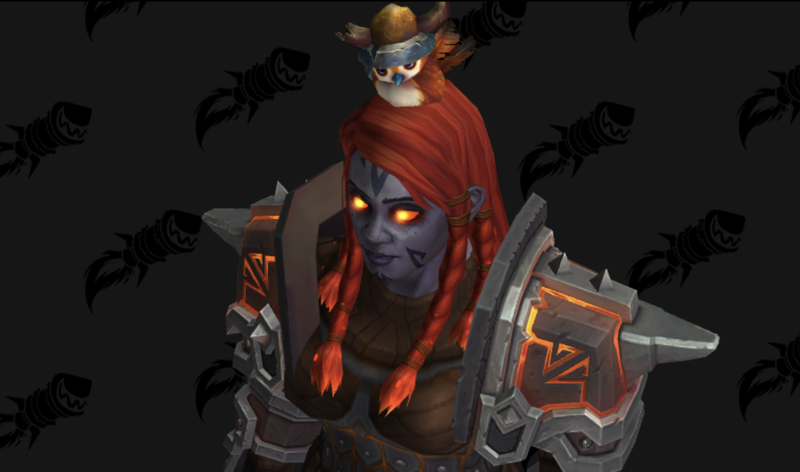 If you want a fresh look for your character or aren’t sure what’s the best appearance for an upcoming Allied Race, this button is your friend. The tool will also remember recently-generated appearances, so you can use the new “Undo” and “Redo” buttons to navigate between styles. If you have taken a break from WoW, we have updated the Dressing Room with many features during the BFA beta, including Upright posture for Orcs, Dark Iron Dwarves, Mag’har Orcs, Pepe costumes, additional non-playable races like Naga, more glow effects, and new animations.